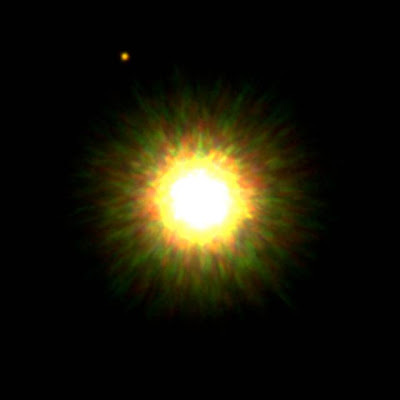 And the Hubble Space Telescope has imaged a planet circling Fomalhaut. In case yer wondering: these are not planets anything like our own Earth. They're believed to be more along the lines of the "gas giants" like Jupiter, Saturn and Uranus. But with increasingly refined imaging technology, astronomers tell us that it's no doubt just a matter of time before a world - possibly one that could harbor life - is found waaaaaaaay out there!